Fredricksburg, VA - For most people, going blind at the mere age of 17 would seem like a death sentence. For artist NovaCain, it meant a new life and renewed sense of purpose. When an irresponsible doctor left the up and coming Nova without his sight due to unforeseen side effects of medication, the artist found himself unable to play basketball, which had been his first passion. But, when NovaCain discovered he had a knack for music, there was a kind of rebirth and Nova realized his life’s work was to make music and a difference in the world. With no formal training, the young rapper set out to defy stereotypes and create his own brand of rap that was effective without being crass or inappropriate. 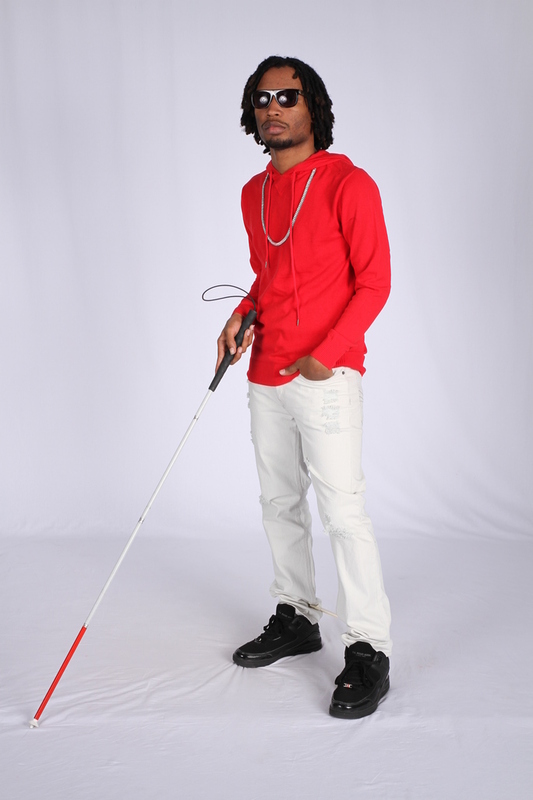 “Instead of letting it beat me down, it made me feel like I was supposed to go blind so I could represent a group of people who didn’t have a voice.” Losing his vision opened his eyes, metaphorically speaking, and soon he was creating music that was inspirational and motivating to all who would listen. He may be blind, but NovaCain’s music will show you the way. Listen to “I Should Have Went to College” on KeepROCKingIt.com. Listen on Spotify and SoundCloud. Fans can find NovaCain on Facebook, Twitter, and Instagram.